IK Multimedia has announced that its popular application GrooveMaker is now available in a version built specifically for the iPad. Like the tracker programs that were popular in the days of the Amiga, GrooveMaker is a music sequencing application that can be used to compose songs by arranging a collection of loops in a specific order. 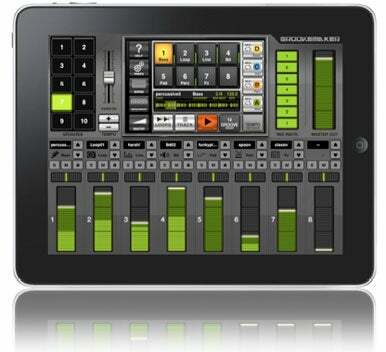 GrooveMaker for iPad, like its cousin for the iPhone, supports all the features of a modern sequencer: loops can be arranged in eight different tracks that can be controlled through a mixer-like interface. It also takes full advantage of the iPad's screen by providing controls for master volume, tempo, and solo/mute functions. This makes the app convenient to use in settings where real-time adjustments are needed—such as with a DJ working a show at a club, for example. GrooveMaker comes in four different versions, which IK Multimedia calls “packs.” Groovemaker Free, which, as its name suggest, is available without charge, provides 120 hip-hop and house loops, in addition to a free song to get you started. Separately, the Hip-Hop, D'n'B and House packs can be purchased for $10 each. All versions of the app are available for downloads from the App Store and require an iPad running iPhone OS version 3.2 or higher.